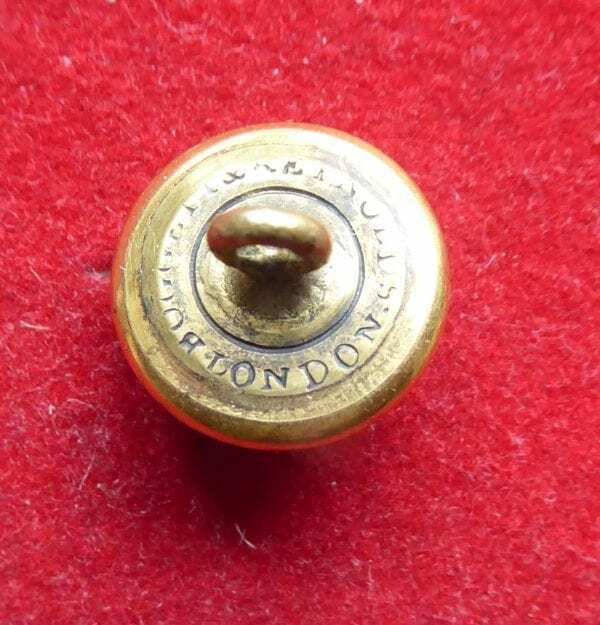 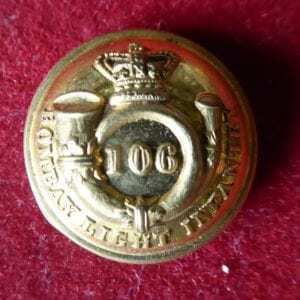 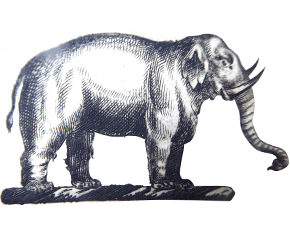 The button, of small coatee style, measures 15mm diameter and has the backmark of Boggett & Reynolds, London. 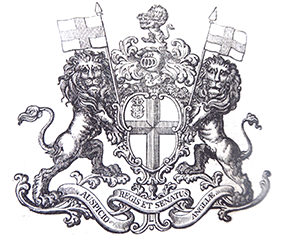 It has the design of the Company’s badge, a lion rampant holding a crown in its paws, within a laurel wreath. 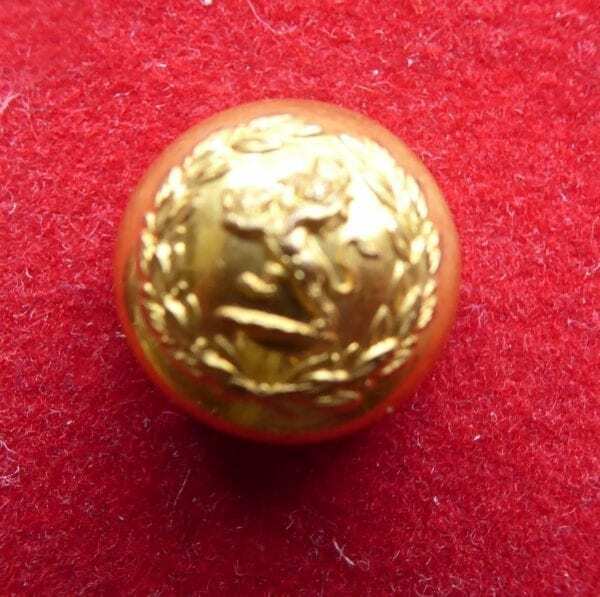 We are not sure of its precise use but it may have been worn by Political Officers in the Company’s service. A recently seen suggestion is that it was worn by officers of the Governor General’s Bodyguard. 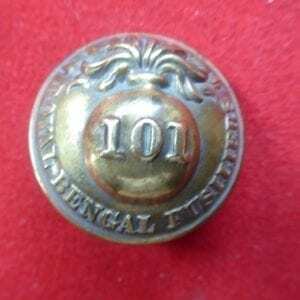 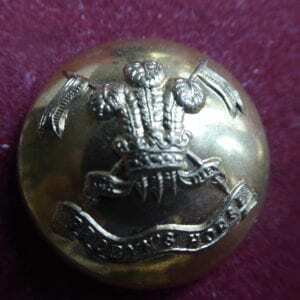 101st (Royal Bengal Fusiliers) Regiment.